In August 2009, Kimberly-Clark, the paper giant behind the Kleenex, Cottonelle and Scott brands and the largest manufacturer of tissue products in the world, gave in to pressure from Greenpeace and other environmental groups to clean up its act in regard to how it sources its wood fiber and how much recycled content it includes in its products. After various forms of public haranguing from Greenpeace, the company committed to sourcing 40 percent of its North American tissue fiber—some 600,000 tons yearly—from recycled sources or from forests certified as sustainable by the nonprofit Forest Stewardship Council (FSC). Also, by the end of 2011 Kimberly-Clark will stop buying non-FSC-certified wood fiber from Canada’s vast but fast-shrinking boreal forest—the largest old growth forest on the continent. One outgrowth of this landmark agreement is Kimberly-Clark’s launch of Scott Naturals Tube-Free toilet paper which, to reduce waste is wound in such a way that it doesn’t need cardboard tubes. The company estimates that the 17 billion toilet paper tubes produced yearly in the U.S. account for some 160 million pounds of trash—most of us discard instead of recycle them. 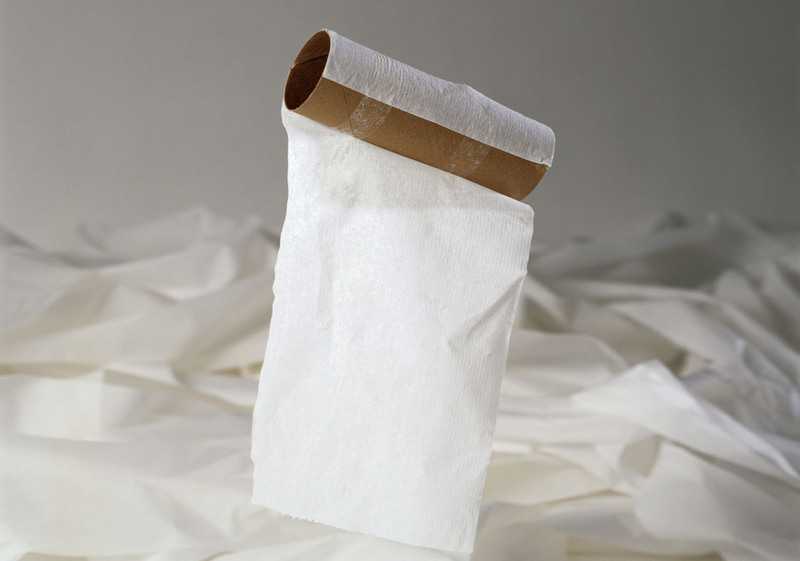 By eliminating the tubes, the company hopes to both save cardboard and allow customers to use every last piece of toilet paper, since the last one won’t have any glue on it to stick to the roll. The tube-free TP is being sold initially at Walmart and Sam’s Club stores in the Northeastern U.S. and will be launched nationally and beyond if it catches on with consumers. Kimberly-Clark’s green awakening will no doubt benefit the tree farms and forests of the Southeast—the locus of logging operations in the U.S. these days—and it will also benefit Canada’s boreal forest, from which the company still sources a large amount of its wood fiber. North America’s largest ancient forest by far, the Canadian boreal forest provides habitat for more than a billion birds as well as many a threatened species, including woodland caribou, bald eagles, golden eagles and wolverines. It is also the world’s largest storehouse of terrestrial carbon—all those miles of trees, moss, soil and peat soak up an estimated 186 billions tons of carbon that would otherwise contribute to global warming. Despite its value to the environment, some 60 percent of Canada’s boreal forest has already been allocated to forestry companies for development and less than 10 percent of it is formally protected in any way. Clear-cut logging by Kimberly-Clark and its competitors has claimed half a million acres of boreal forest annually in Canada’s Ontario and Alberta provinces alone in recent years. “Because of Kimberly-Clark’s place in the paper products market, the company’s new policy will send a strong signal to its competitors, Procter & Gamble, SCA and Georgia Pacific, that creating a policy that protects ancient forests is a key element of sustainable business,” reports Greenpeace. Of course, there are plenty of other brands of tissue paper that already make use of primarily recycled and/or sustainably harvested fiber—check out Greenpeace’s Recycled Tissue and Toilet Paper Guide to find out which ones—but they are not easily found at mainstream grocers and big box stores. The more shoppers go for greener options, the more the paper industry will take notice and modify their offerings accordingly.